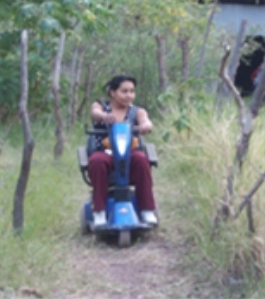 Maria came to the city off Matagalpa determined to get a job to take care of her four children. She began working as a domestic but within six months she lost her job and had to be admitted to the hospital. Both of her legs were amputated. Her life kept turning from bad to worse. 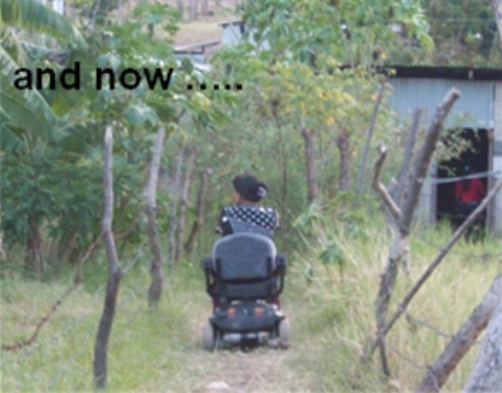 She was dependent on her neighbors in Lucia Mantilla one of the most isolated barrios in Matagalpa. She came to Casa Santa Julia for arts and crafts. We invited her for an interview and realized she could do the receptionist job. She only had up to a 3rd grade education but she was sharp and eager to learn. 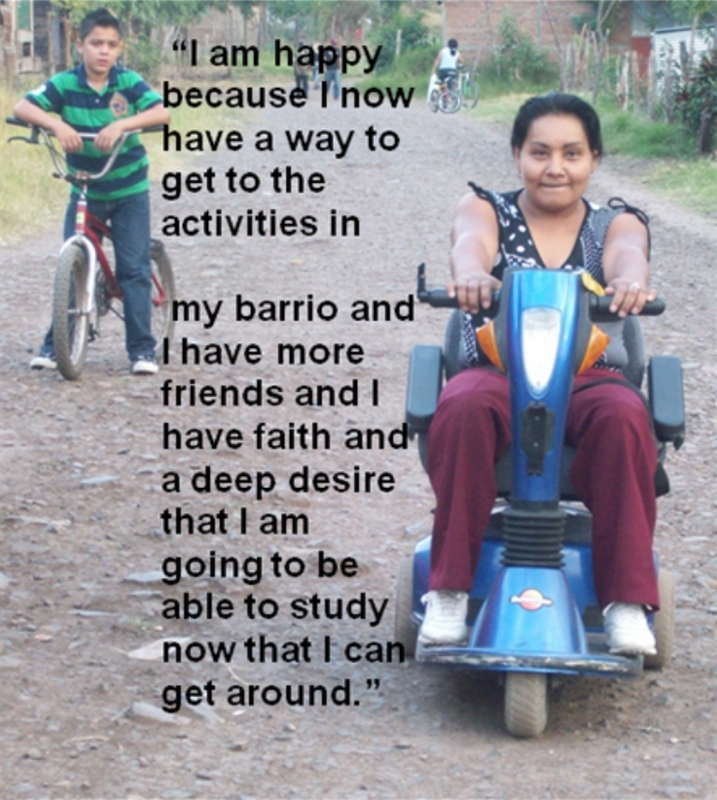 The rest is her story as Maria has grown in her job even learning the basics of computer.